No7 facial contains a combined, intense serum to tackle existing lines and wrinkles. Does it work? It appears to work for me; of course I cannot be sure if that is due to the special complex, or maybe just the relaxing time and the sunshine, far away from the polluted city, but I can see that my face is smooth and spotless. Sometimes, UV filters are too strong and block the pores. Anyhow, I have decided to use it on an everyday basis as skin protection in the city for now, to see how it goes together with my mineral BB cream. I applied it as recommended: 15 minutes before sun exposure, reapplied every 1-2 hours and after swimming or towelling. In had no bad skin reaction with salty see water and reapplied No7 facial-it really did the job very well. It is a light weight, easily absorbed, no shine lotion. This is what each of us needs on summer holidays. It has a skin brightening complex, which improves appearance of skin tone – maybe that is the reason for the almost magic effect on my skin! – whilst also preventing dark spots and hyper-pigmentation. No7 sun care facial is suitable to use under make-up as well, but I did not try that – I do not apply make up on holidays giving my skin some time off as well. 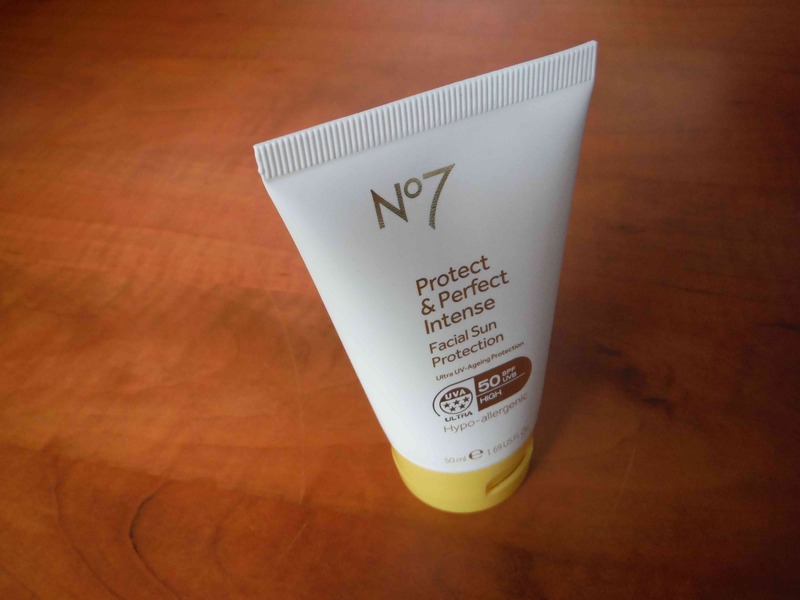 No7 Protect & Perfect comes in a small white plastic tube with a yellow tip, which has the right size to fit in your summer holiday suitcase. It’s wrapped in an additional paper box, which I found unnecessary, and consequently disposed of, as it took space in my luggage – it’s not needed and it destroys the environment. I understand that it looks more elegant in it on the shelf, but we could live without it. The 50 ml package is the right size for me, a typical size for facial products. It’s going to work for a full week’s worth of holidays if applied a few times per day on a daily basis. My skin improved over time as I applied this lotion. It may have been part of the reason, together with getting some sun and having a generally wonderful holiday time. 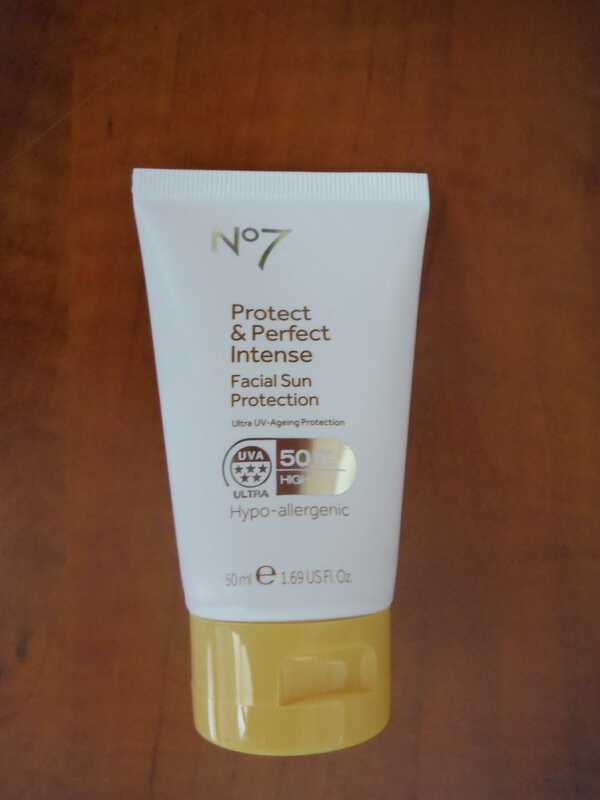 This entry was posted in Boots, By Type of Cosmetic, No7, Sun care products and tagged anti aging sun care cream, Boots, face sun protection, No7, No7 Protect & Perfect, Protect & Perfect, sensitve skin sun protection, SPV50 face cream, summer holidays, sun care for face, sun protection.